We want to say THANKS! 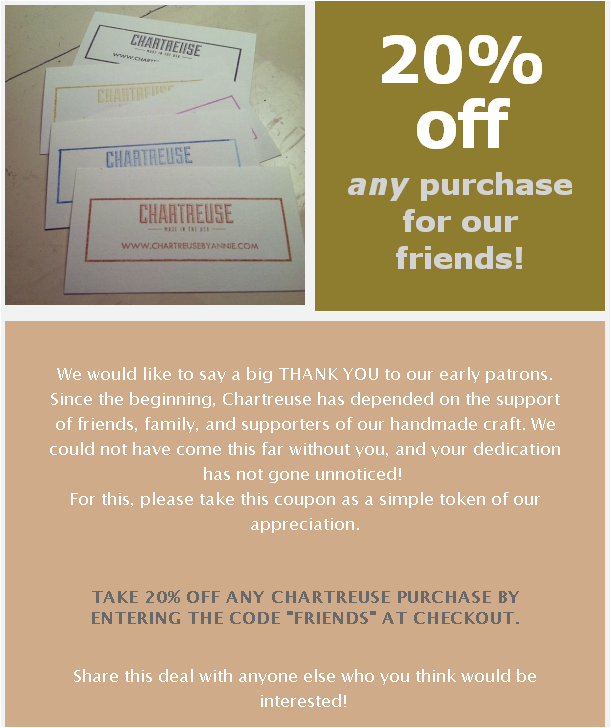 Enter the code FRIENDS at checkout and save 20% on any order! 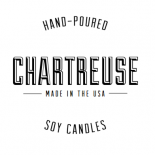 This entry was posted on May 21, 2013 by chartreusecandles and tagged candle coupon, candles, chartreuse, chartreuse by annie, shop candles, shop soy candles, soy candle coupon, soy candles, thanks.